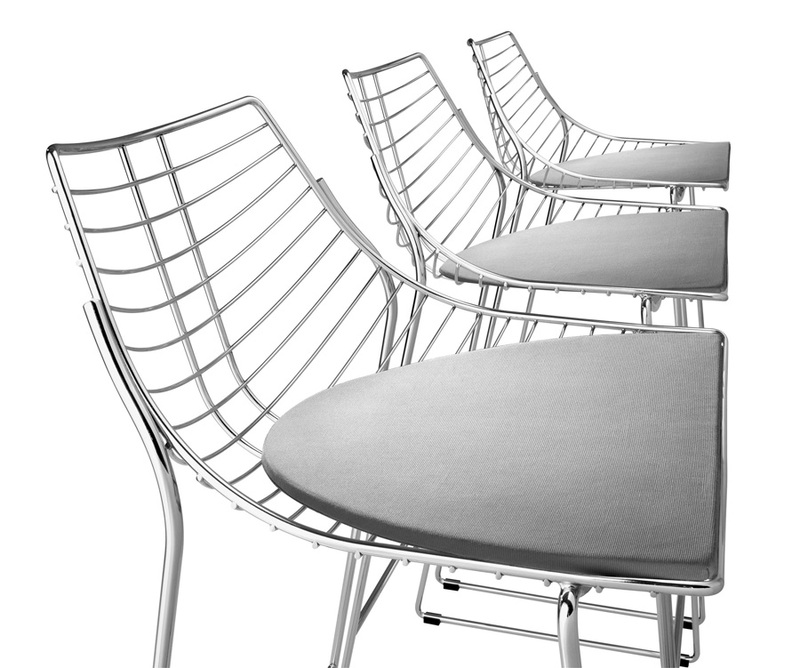 Net is a complete programme of seats made from electro-welded steel rod supported by a high-strength 11 mm diameter structure. The soft shape and the lightweight structure form a subtle pattern of lines that assure an elevated level of comfort. 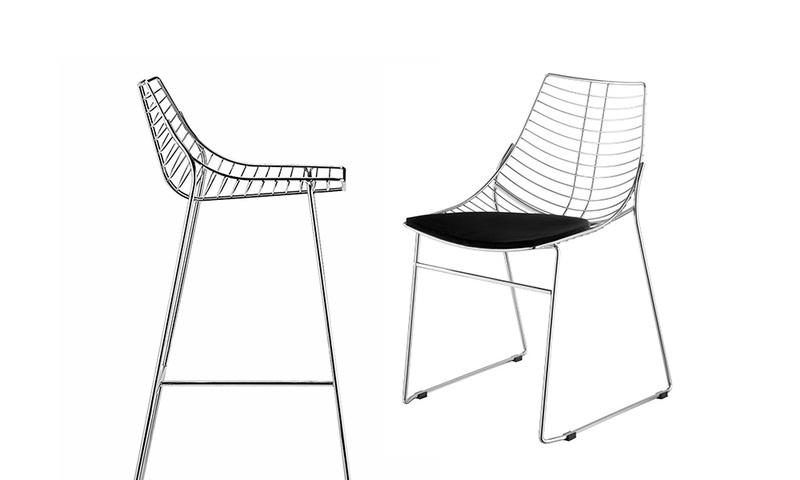 Net chairs are fantastic for indoor and external environments due to their sturdy steel frames and resilience against weathering. 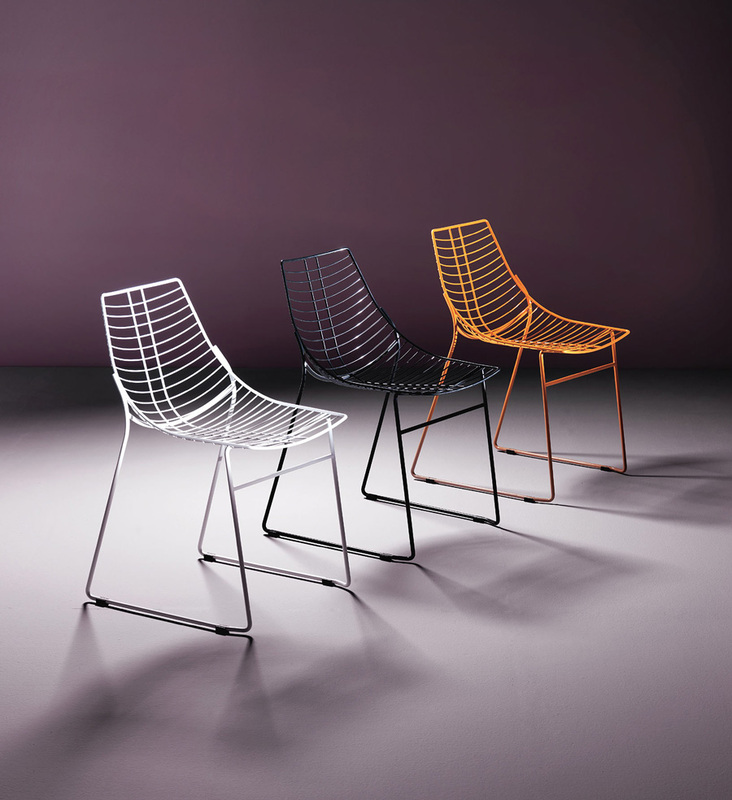 Net 096 - Chair with steel sled frame. 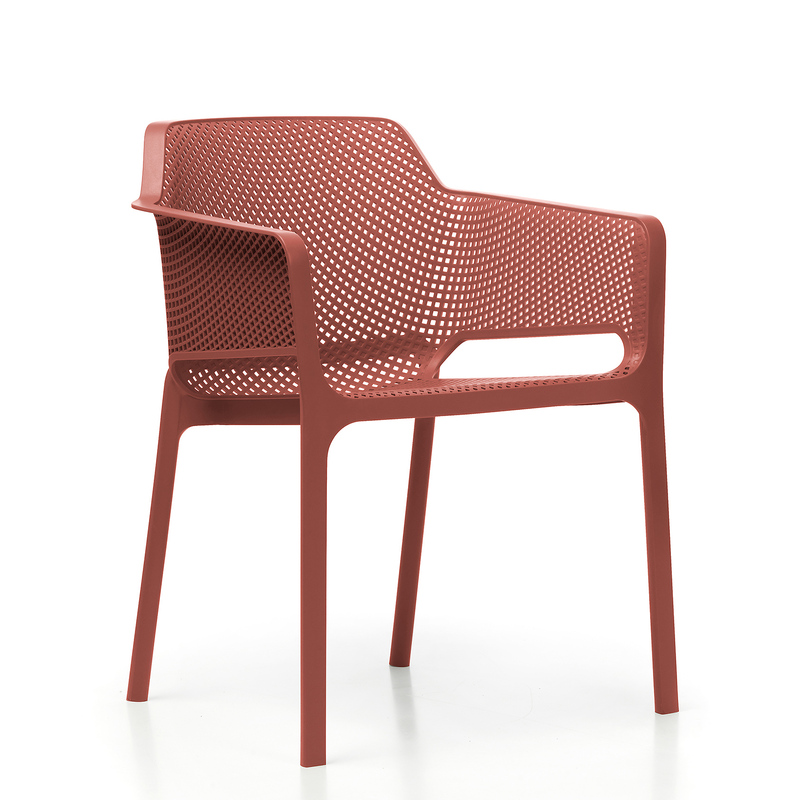 Net 097 - Armchair with steel sled frame. Net 096 - Barstool with steel sled frame. 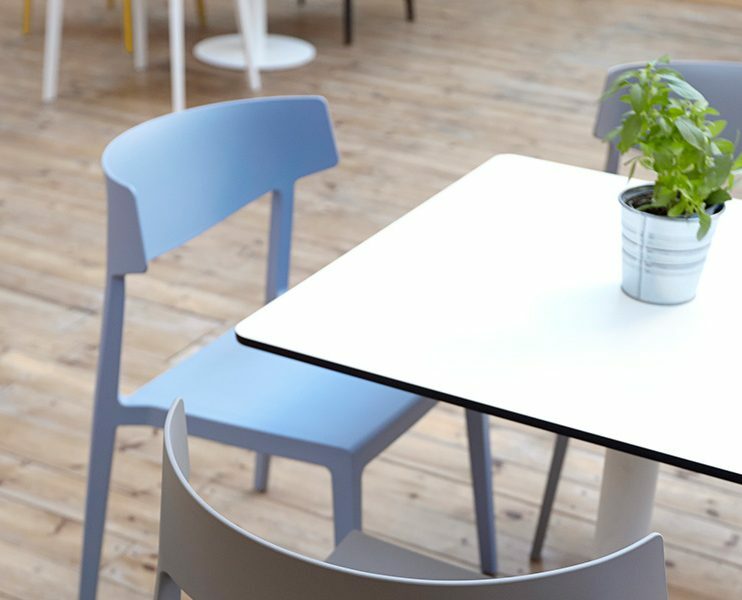 There are 14 frame finishes available from PANTONE, RAL and Chrome. 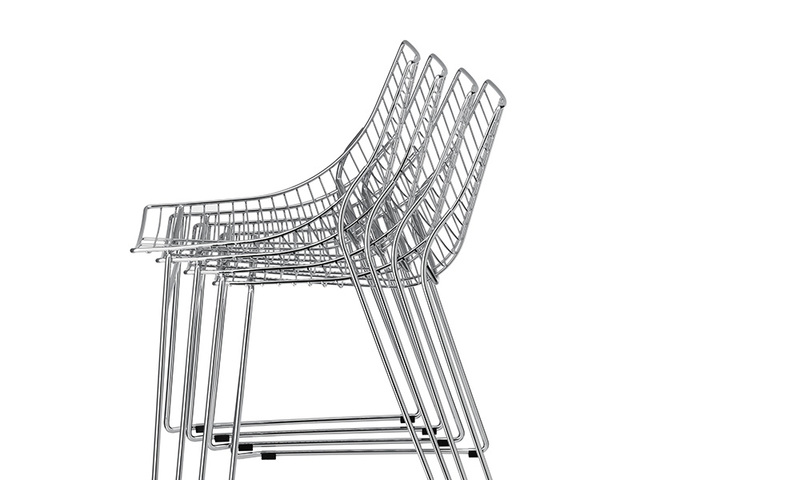 The Net Chairs are both stackable up to 4 pieces. 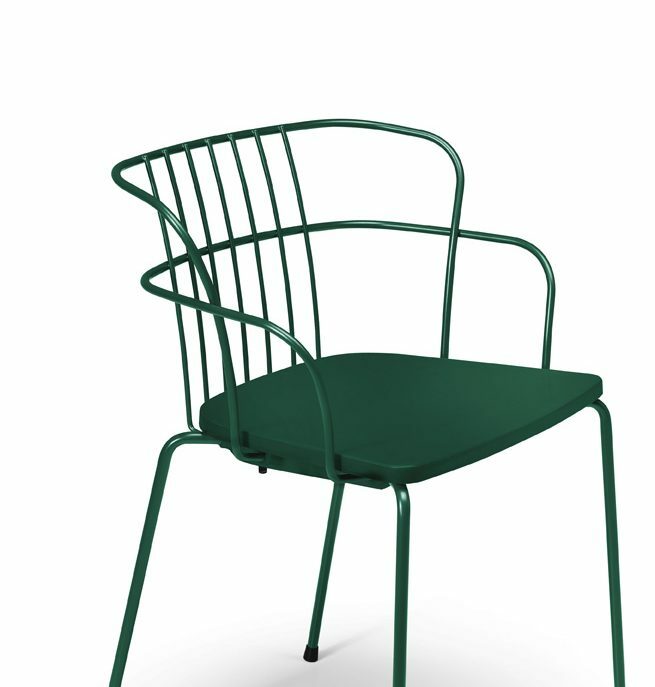 Each chair weighs approximately 5.3kg making resilient against outdoor weathering and conditions. 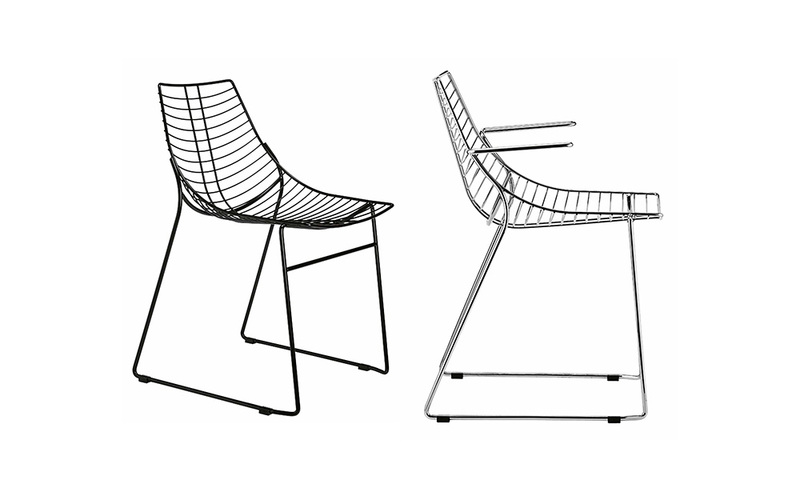 Manufactured from electro-welded steel rod.